SEPTA train 5265 performs its station stop at Prospect Park-Moore. Equipment for this run is Silverliner IVs. 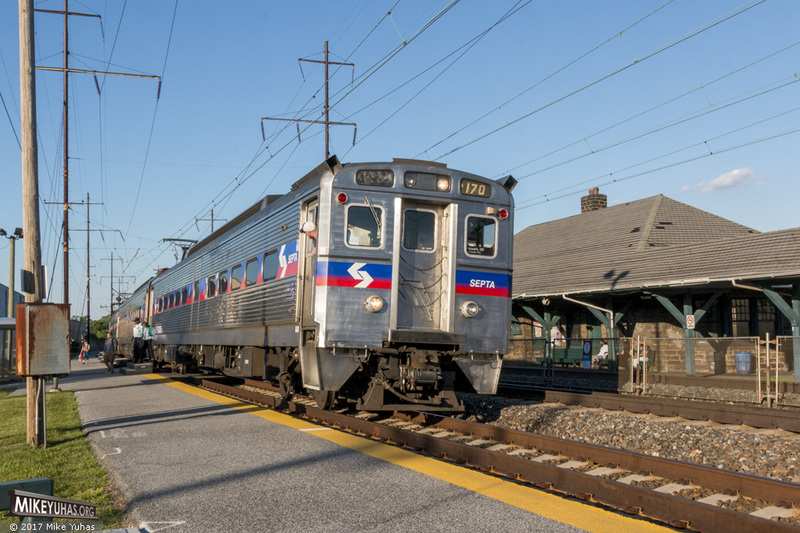 The train is bound for Newark, Delaware, and is operating about 10 minutes behind schedule.